Hello, my friend! Are you thinking this is the year to start gardening, but you don’t know how to plant a garden? Planning is key as you prepare for a successful garden. Need some garden ideas? 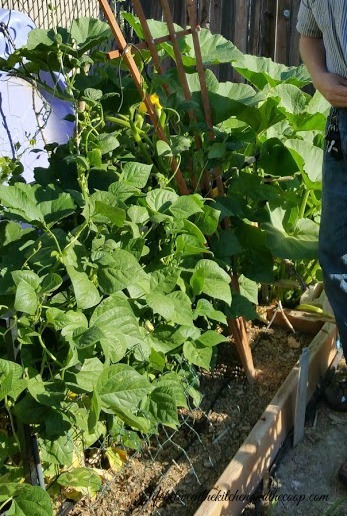 To help you plan, I put together some of my best tips …things you should know when learning how to plant garden! Once you know what you want to plant, you should figure out what grows well in your climate. It may be helpful to check out the USDA Plant Hardiness Zone Map. If you enter your zip code, it will tell you your planting zone. For example I live in zone 7a. Once you know your zone, you can use your good friend google to figure out what plants grow well in your zone. It is a good idea to do a little research about companion plants. Some plants grow well next to each other, some don’t. 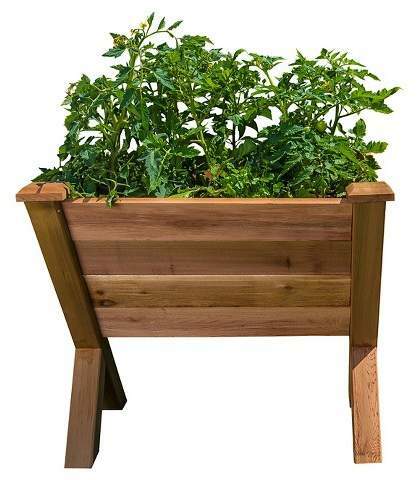 You can also grow vertically on a trellis. 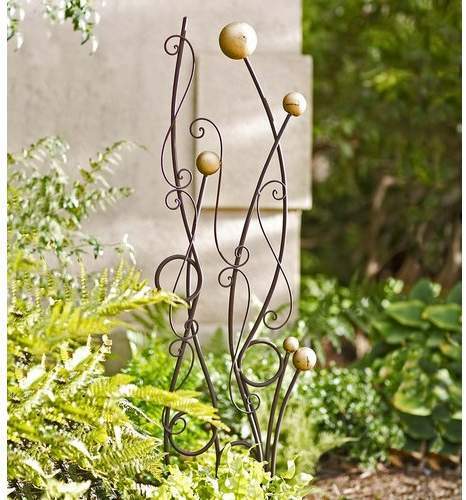 This works especially well for climbing plants, such as green beans. 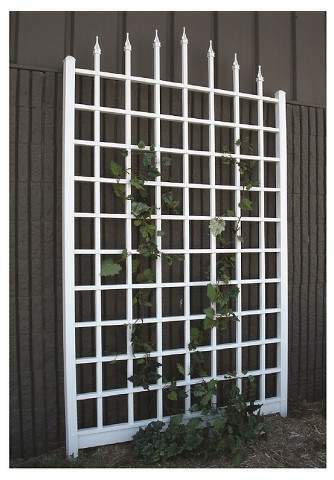 Here are a couple of garden trellis ideas:. 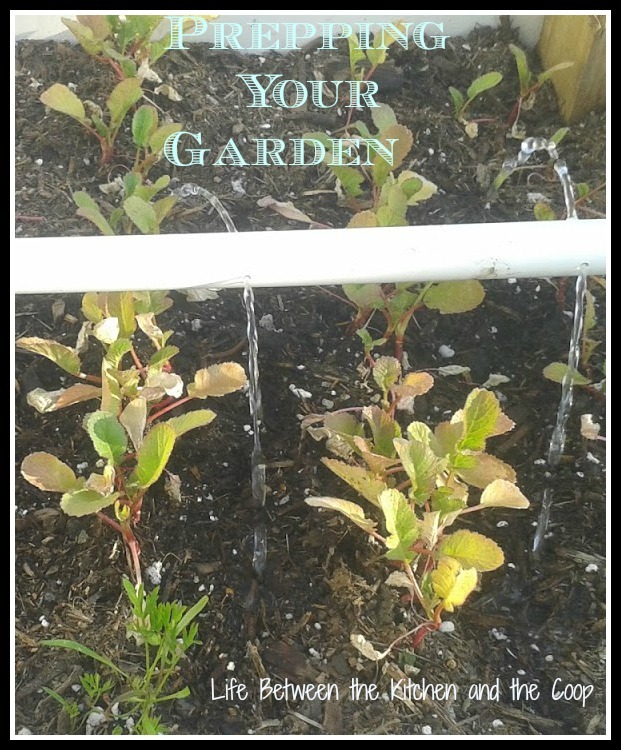 Keep in mind that besides plenty of sunlight your garden needs access to water. You can use a hose to water your garden, but some sort of garden irrigation system is definitely less time-consuming. We are all about saving time at our house, so we made a custom-made garden irrigation system. If you plan ahead, you can reduce the time that you spend weeding the garden! To do that we use some awesome stuff called Agfabric Weed Barrier. 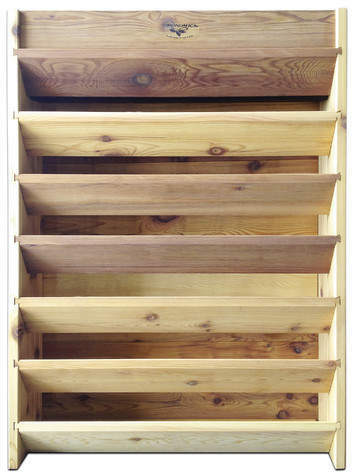 To use it, I recommend making elevated gardening boxes (they don’t need a bottom, just four sides). 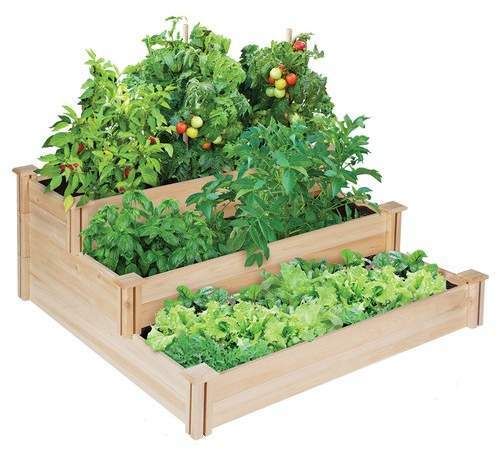 Lay the Agfabric out in the bottom of the box, then cover it with 6-8 inches of soil. 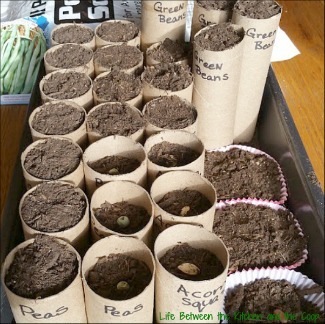 If you do decide to grow your own starter plants from seed rather than purchase them from the nursery, you can save money by planting them in old toilet paper rolls, empty egg cartons, cleaned out butter or yogurt containers, or any other small containers you have around the house. They work just as well as the planting flats you can buy at the store, but they cost you practically nothing! To reduce the work you have to do, you can also buy pre-grown starter plants. Doing that costs more, but they make gardening SO easy! We do a combination-certain things we grow from seed ourselves, other things we buy at a plant nursery. The big thing is timing the growth of your starter plants so that they are ready to plant after the last frost, but NOT before the last frost. If you plant your starters too soon they can run out of room in a small container and die before you can plant it outside. If you plant it outside too early, it can also die from the cold. Timing is everything, my friends! Hint: An inexpensive greenhouse is a great way to grow plenty of starter plants without them having to be all over the house! Of course, your kitchen counter near a window can definitely work, but you will have serious space constrictions. Using a greenhouse gives the plants lots of light, but protection from the elements. Plus, if you have a greenhouse you can grow lots and lots of starter plants, rather than buying them pre-grown. Planting from seed is a real money saver! Before you plant the plants outside, you should set them outside for half of a day. That is known as hardening off. It allows the plant to get used to direct sunlight and the climate outside. Once you have your starter plants ready to transplant into your garden, you will need to prepare the soil. 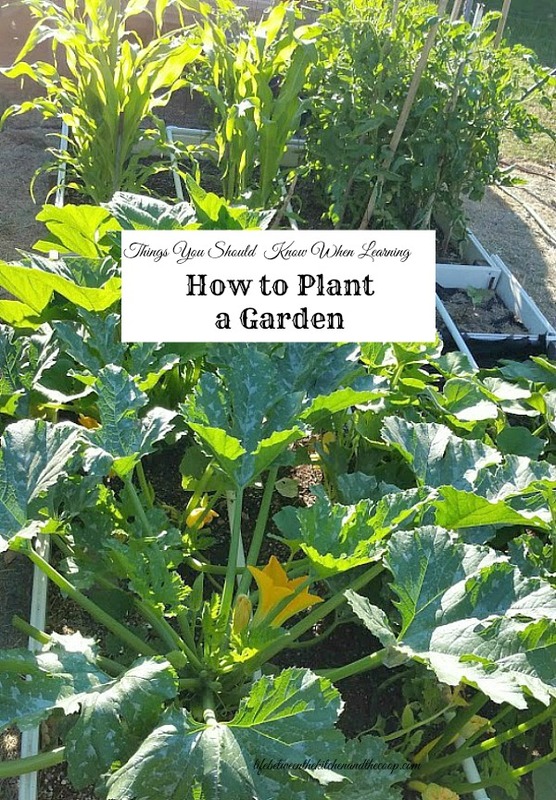 Depending on how you are set up and how big of a garden you are planting, that can mean anything from breaking up the soil with a shovel to tilling. Once you have loosened the soil, smooth it out a bit (but keep it loose, don’t pack it tightly). We have several garden squares with walkways in between them because we find it easier to get at the plants. Most people just garden in rows. Do whatever works for you. Hint: At the end of the previous gardening season, my husband covered all of our garden beds with compost and chicken coop leftovers (bedding and droppings). It sat like that all winter, decomposing. Then when we prepped our soil in the spring it was dark and rich. Easy to prep and perfect for planting! I asked some of my blogger friends to share some of their favorite garden tips with you, too! You can check them out below. I hope you found these tips helpful, my friends. 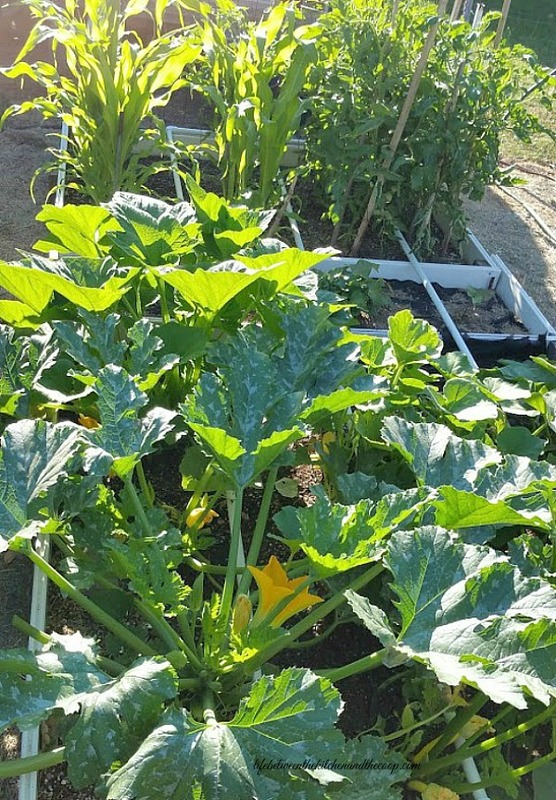 Before you know it you will have a garden full of fresh fruits and veggies! See you next time!